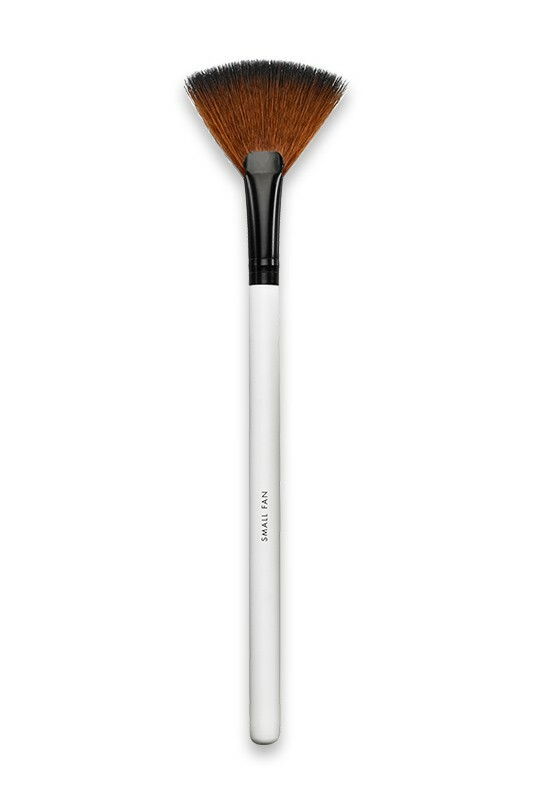 LILY LOLO Fan Brush is ideal for a soft focus, lightweight application of any of our mineral powders, a sheer application of blusher and bronzer, to soften harsh lines and great for illuminating and highlighting or to whip away eye shadow fall out. Acclaimed by international makeup artists for their professional quality, Lily Lolo Vegan Brushes are made from synthetic hairs that's ultra soft and resistant. With this amazing makeup brushes line, even the most sensitive skin can get rid of itching and scratching ! SMALL FAN IS A GREAT MULTITASK BRUSH ! 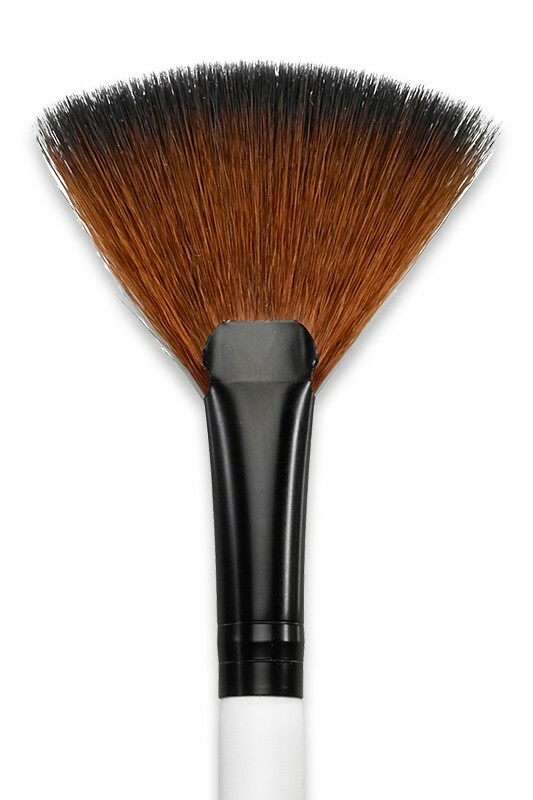 Using Lily Lolo Small Fan Brush, apply blush and highlighter onto the cheekbones, bridge of the nose and forehead center. Apply shading powder and bronzer into cheek crease, along jawline and forehead sides. In case of eye shadow fall out, whip away from face to get rid of pigments without ruining face makeup.